Google’s New York office is shown in lower Manhattan. 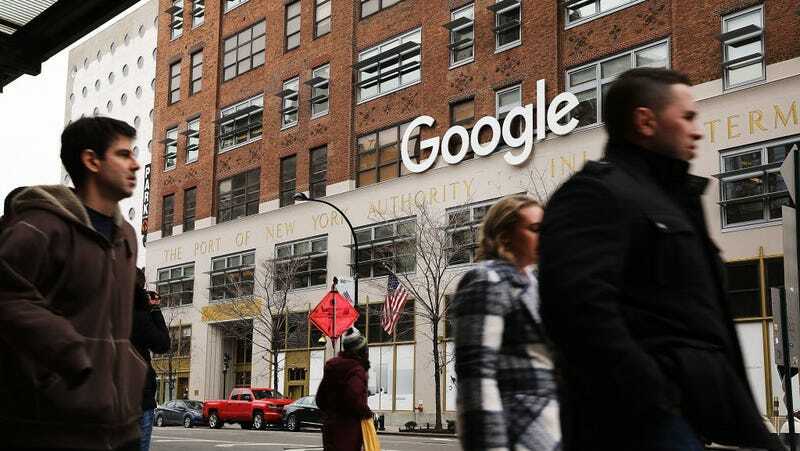 A lawsuit brought by a former Google employee who says that the company’s “bro culture” led to daily sexual harassment is being expanded as a class action after Google tried to push the case into sealed, secret arbitration. Loretta Lee, a software engineer, was fired from her role at Google in February 2016 after eight years at the firm. Her lawsuit claims that she had raised complaints about harassment and had sought medical leave shortly before she was fired. Her male co-workers spiked her drinks with alcohol, shot nerf darts at her, and made sexual comments to her, Lee’s lawsuit states. One coworker texted her asking for a “horizontal hug,” while another hid under her desk. On Friday, attorneys representing Google tried to have Lee’s lawsuit dismissed and forced into arbitration, which would have prevented it from proceeding in public—in stark contrast to Microsoft, which recently ended its practice of enforcing arbitration agreements in cases of sexual harassment. (Microsoft is currently facing a class action lawsuit alleging that it routinely paid women less than their male colleagues). “While she may have forgotten about the Agreement in 2018, she cannot claim she was surprised back in 2008 when she signed it,” attorneys for Google wrote in a court filing. Lee’s attorney, Richard Hoyer, re-filed the lawsuit as a class action, in hopes of representing all female harassment victims at Google. “Today, the Court granted our request to have the case designated as complex and reassign it to the proper department,” Hoyer added. The ‘complex’ designation will allow the case to be considered as a class action.